Most Indians are familiar with mango pickles and jams and juices that are churned out a plenty in Indian households over the season. 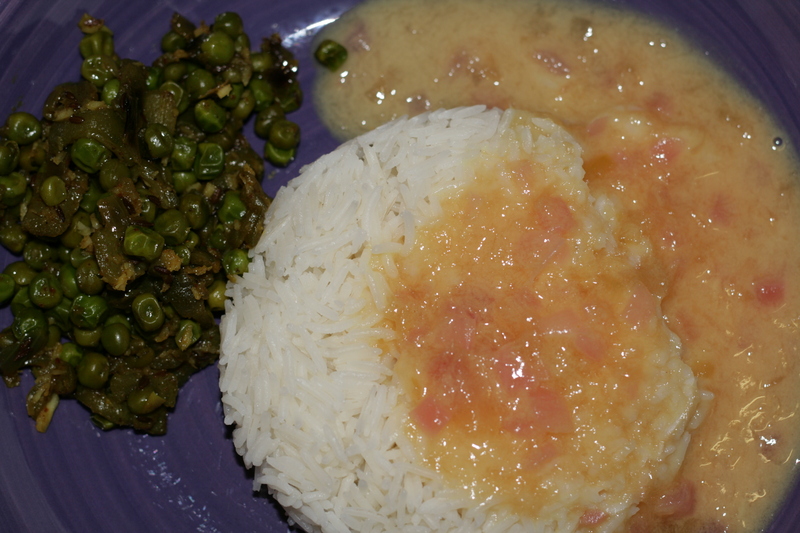 However, the raw mango curry called Khaaravni is a specialty of the Pathare Prabhu community. It is delicious in itself but the seasonality of the raw mango and the year long wait makes it even more so. Nothing tastes better than a simple meal of this curry with some steamed white rice. I can’t wait to dig in to my lunch! 1. Heat the oil and saute the green chilli until the oil is fragrant. 2. Add the onions and the raw mango pieces. Cover and cook till soft. 3. Add salt and turmeric powder. 4. Dissolve the rice flour in a tablespoon of coconut milk and add it to the pan. 5. Add the rest of the coconut milk and simmer gently for about 8-10 minutes, ensuring that it does not boil. 6. Taste the curry. Depending on how raw the mangoes were, you may want to add some or all of the sugar (1 tbsp) to balance out the sweet and sour taste. 7. Cool a little and serve with freshly steamed rice. Notes: Some crunchy papads (poppadums) go very well with this combination. You could also add a side of some potatoes or fried fish! This entry was posted in Curries (Kaalvan, varan, sambhare etc.) and tagged epicurious, khaaravni, kharavni, Pathare Prabhu recipes, raw mango curry. Bookmark the permalink.